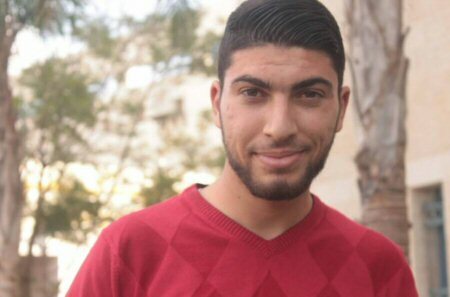 A group of human rights organizations have condemned the recent attack on student Musa Dweikat, and his abduction, in front of the campus of An-Najah University, by members of Palestinian intelligence, and calls for an end to similar cases of kidnapping off the streets and arbitrary arrests. The Association of Human Rights Organizations (Freedom) is following, with deep concern and condemnation, the continued and escalating arrest campaigns carried out by members of the security services in the occupied West Bank, against the citizens, based on their political orientations and the systematic torture of the detainees in ways that demean their human dignity. The latest of these arrests was the abduction of Musa Dweikat, a 23 year-old member of the Student Union Council of the Islamic Bloc, at Al-Najah National University, who was abducted in front of the university campus in Nablus, yesterday afternoon. According to video footage, two people dressed in civilian clothes, one carrying a pistol, blocked his way while he was passing by Al-Najah University. They then beat him with batons before three other security members riding in a Hyundai microbus joined them. They handcuffed and shoved him inside the car leading him to an unknown destination. The Association expresses its total condemnation of the continued political arrests in the West Bank, on the basis of their views and political orientations, as the number of detainees in the prisons of the Palestinian Authority in the West Bank, until January, has reached about 80 detainees who are subjected to severe psychological and physical torture. These acts constitute a flagrant violation of Palestinian Basic Law, a flagrant violation of the freedoms and rights of citizens, and an explicit violation of international conventions and the Universal Declaration of Human Rights and the International Covenant on Civil and Political Rights that was meant to guarantee the freedom of opinion, and stresses the inadmissibility of discrimination on the basis of political opinions, or arbitrary arrests and torture. These acts of arbitrary arrest and torture raise serious doubts about the national, moral and legal motives of the security services in the West Bank, especially the Preventive Security and the General Intelligence Services.